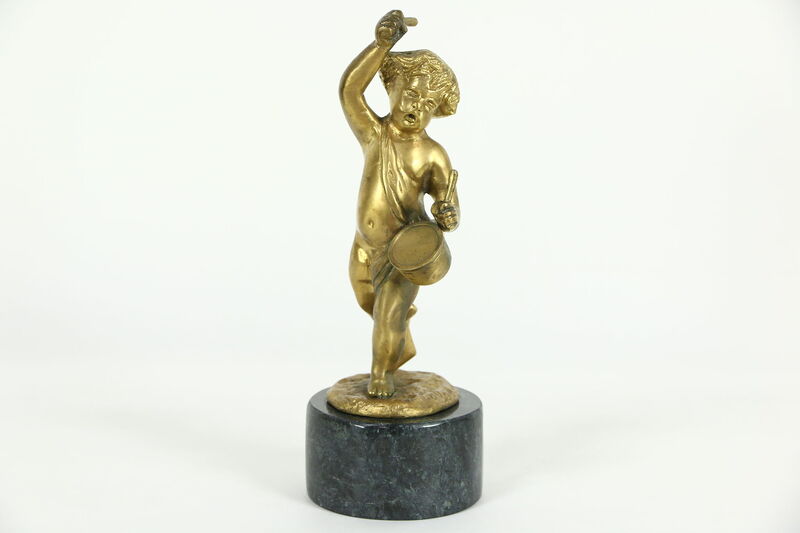 A genuine bronze sculpture of a cherub playing a drum is about 40 years old, after the design of "Clodion," one of the greatest 18th Century sculptors of France. His actual name was Claude Michel, born 1738 in Nancy and died in Paris in 1814. He worked for Louis XV and Catherine the Great of Russia, his works of art are in museums across the world. This statue has a gold dore finish and green marble pedestal. Diameter is 3 3/4" and height is 10." The matching statue is priced separately, call or email for availability.